We are a leading Service Provider of digital vibration meter from New Delhi, India. 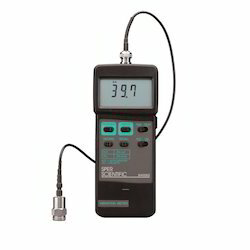 We are recognized as an eminent organization engaged in trading and exporting Digital Vibration Meter. Extensively used in blasting, demolition, construction work, mining or other similar works, these vibration meters are manufactured by using optimum quality material and advanced machines. Post-procurement, these vibration meters are tested on various quality parameters and then forwarded for the final delivery to the customers. Looking for Mine Blasting Vibration Meter ?